Jenners department store on Princes Street which may close down. Standing proud on the same Princes Street spot for the past 180 years, Jenners is one of the most iconic retail outlets in Edinburgh, if not Scotland. The future of Jenners faces fresh doubt as administrators have been primed to plunge House of Fraser, including the Princes Street flagship, into administration after the ailing retailer hit further crisis. A cash injection of £70 million, seen as the high street retailer’s last chance of survival, failed to materialise after a deal with Hamley’s Chinese owners C.banner fell through. Accounting firm Ernst and Young (EY) have now been put on the alert to make preparations to put the chain into administration. EY drew up back-up plans as a part of the Company Voluntary Arrangement (CVA) to shut 31 of its 59 stores, approved by creditors in June, and sources told The Telegraphsaid that preparations were currently underway to put the retailer into administration should it come to that. The department store chain launched a store closure programme to be delivered through a the CVA backed by creditors. The closures required app­roval from House of Fraser’s landlords who challenged the CVA in what is believed to be the first legal challenge of its kind in Scotland. They filed a petition in the courts on the grounds of alleged unfair prejudice against certain creditors as well as material irregularities in the implementation of the CVA. 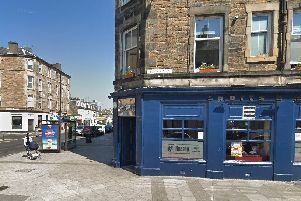 The landlords, who filed a complaint via the Court of Session in Edinburgh on Friday, said that they were “unfairly prejudiced” during the CVA insolvency process known that was approved by a majority of creditors, including landlords, last month. A court date has now been set for August 14. The group, who are being advised by accountancy firm Begbies Traynor and property advisory firm JLL, also allege there were “material irregularities in the implementation of the House of Fraser CVA”. The statement from the landlord group said it was “unjust” that House of Fraser’s majority shareholder, Nanjing Cenbest, which is part of China’s Sanpower conglomerate, was set to receive £70m for some of its shares in the ailing department store from the then new investor, C.banner, as part of a wider rescue deal while landlords creditors take a fin­ancial hit. Hopes for a last-minute rescue for House of Fraser have so far hinged on talks with media mogul Philip Day, who controls Edinburgh Woollen Mill and Peacocks as well as a £50 million loan from Mike Ashley, founder and chief executive of Sports Direct. But retail expert Richard Hyman said talks of “rescue” deals can be misleading and any hopes of saving the business at this stage fail to take into account the reality of the financial situation. Mr Day has earned a reputation for buying up distressed chains. He said the options available are likely to be “various shades of grim”. The city’s most famous dep­artment store was sold to House of Fraser, its rival at the time, in 2005, ending the family-run institution’s 167 years of independence. The sale included the under-performing six-storey building in Princes Street as well as its more successful outlets at Glasgow and Edinburgh airports and at Loch Lomond. The “Harrods of the North” opened on 47 Princes Street on May 1, 1838, the brainchild of city drapers Charles Kennington and Charles Jenner. When did you last go to Jenners? The huge store – the Grand Dame of the high era of Caledonian retail – is popular with tourists and locals alike, and is widely thought of as an Edinburgh institution. But how many of us actually shop there? You might go in for a browse, to be pampered at the myriad of make up counters, or to have fun with a younger family member in the basement toy shop, or even look at the impressive Christmas tree put up every year, but when was the last time you actually bought anything? Like many other High Street institutions, the challenge of high rents, decreasing footfall and the rise of both online and budget on-street rivals is pushing names like Jenners, just like British Home Stores before it, to the very edge of survival. After the Chinese firm C.banner recently pulled out of a £70 million deal to save House of Fraser, which owns Jenners, the long-established outlet could be on the brink of closure. Richard Hyman from Richard Talks Retail said unless Jenners can be sold at minimal cost it would be a difficult proposition to see succeeding. “Department stores are extremely expensive retail formats – big buildings in expensive locations that cost lots just to keep open. “The bottom line is – can anyone generate around double the business the current leadership team has managed without throwing money at it? With the dark clouds circling above it yesterday, we headed to the Princes Street store yesterday to ask passersby what they think of Jenners, and how often they actually venture inside to splash out on something inside. Deborah Simpson, 57, from East Lothian, also considers Jenners to be an iconic institution. She was last in the shop six weeks ago, and often goes in to browse. However, she doesn’t usually spend any money in the store: ‘I’ll often go in to look, but I’ll only buy anything if I’m looking for something special,’ she says. ‘I really like Jenners,’ says Fiona Edwards, 62, from West Lothian, ‘it’s a real treat.’ She doesn’t shop there often though, and last bought something around Easter. ‘I’d go to John Lewis, Marks and Spencer, or maybe Debenhams instead,’ she says. For Nora Amond, 72, from Dundee, Jenners represents the city of Edinburgh. ‘It’s lovely,’ she says, ‘especially at Christmas. It really reminds me of Edinburgh.’ However, she only visits a couple of times a year, preferring to shop in John Lewis or Marks and Spencer.